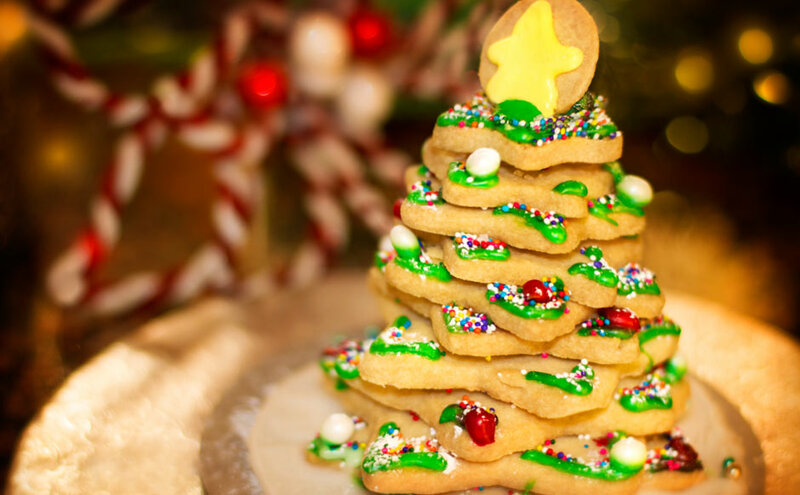 Looking to do some creative baking during the holidays, why not try making your very own Cookie Christmas Tree? Here you have everything you need to build, decorate, and light up your tree to add some spirit to the day and your home! It’s easy to make, and you can use it as a beautiful centerpiece at your holiday party or give it as a party take away gift. The tree can be decorated in any way that you choose, and it’s great fun to work with kids on. The only problem is keeping the kids from eating the tree before it’s done! So let’s get started; this might be the beginning of a new family holiday tradition. At Victoria Bakery & Café we offer star-shaped cookies to use for your Cookie Christmas Tree. We also have fully decorated Cookie Christmas Trees if you’re too busy over the holidays this year. 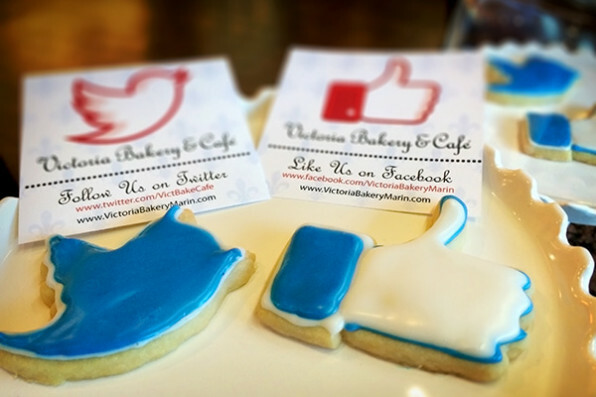 Give Victoria Bakery & Café a call if you’d like to place an order. · Preheat oven to 375 degrees F.
· Mix flour, baking soda, and baking powder in a small bowl. · Take a large bowl and cream the butter with sugar until the mixture is smooth and fluffy; add in egg and vanilla. Beat everything together, then gradually add flour mixture from the smaller bowl. · Take half of the dough and roll it into a 10 inch wide and ¼ inch thick circle. Repeat the same with the second half. · Use star shape cookie cutters of four different sizes. You’ll need two cookies each of the three largest sizes and four cookies of the smaller size for each cookie tree. · Place cookies on ungreased cookie sheet and bake for 8-9 minutes or until lightly browned. Stack cookies together to make a Christmas tree. Start with the two largest cookies at the base, rotate them slightly, so the star points do not align. Use a little bit of frosting to glue the cookies together. Continue stacking up the smaller cookies progressively on top of each other. Let your creativity flow while decorating the cookie tree. Have fun with sprinkles, small cake decorations, and powdered sugar! Feel free to use prepackaged colored frosting or make your own royal or butter cream icing. You can opt for a color theme (white Christmas) or go colorful with a rainbow pallet. We’re happy you got to enjoy these with family. Happy New Year!